Welcome to MyBevWedgeTray™ for Pizza and Drink holders. Buy Our Famous BevWedgeTray™ it holds Pizza flat on your car seat so the cheese does not slide. 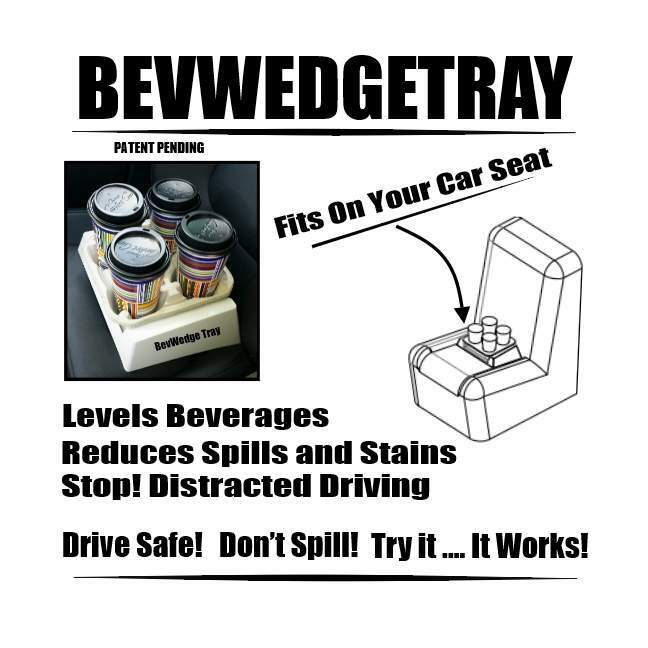 What else can my BevWedgeTray™ do? Pizza holder for the car seat does not let the cheese slide to one side. Copyright ©2016-2018 all rights reserved Shopping On The Net Inc.